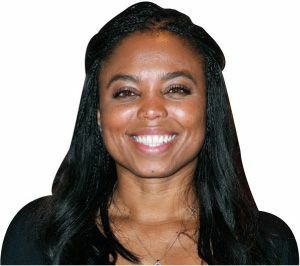 President Trump has made no secret of his contempt for the free press, said Will Bunch in Philly.com, but this week he launched “one of the most breathtaking abuses of the First Amendment that I’ve witnessed in my lifetime.” The target was Jemele Hill, an African-American sports anchor on ESPN, who last week on Twitter called Trump a “white supremacist” whose election was “a direct result of white supremacy. Period.” Trump, as usual, responded with an angry tweet of his own— demanding an apology and blaming ESPN’s slumping viewership on its “bad politics.” But he didn’t stop there. The next day, White House Press Secretary Sarah Huckabee Sanders urged ESPN to treat Hill’s comments as “a fireable offense.” It’s deeply chilling when the federal government uses its power to try to get a journalist fired for expressing an opinion, said Aaron Blake in WashingtonPost.com. “It’s also hypocritical.” Before and after he began running for president, Trump repeatedly called President Obama a “racist,” insisted he was foreign-born and therefore an illegitimate president, and even accused him of being a secret Muslim who sympathized with Islamist terrorists. Should NBC have fired Donald Trump from The Apprentice for those utterly unfounded slurs?